Self-sufficiency, homesteading, grandchild-raising, chicken farming, bourbon, firearms of all sorts and styles. Klipsch...LOTS of Klipsch (ain't that why we're here?) Oh and some tubes and vinyl too! That's news to me...and to Denon Inc who say " Its high output allows you to use it interchangeably with a moving magnet phono input. " I was going to recommend the Denon DL-110 but instead decided to sit back with my popcorn and see how long it took somebody else to recommend it. It didn't take as long as I thought it would... Do a search on here for "DL-110" and read all the raves. I've owned similar Sumikos, Grados, and ATs and I strongly believe the DL-110 is the cartridge to beat in the under $400 market (if you do a thorough search, you may be able to find it for under $200!). And it runs just fine on a plain jane MM preamp by the way. Good luck! Since the four records you described seemed to sound progressively worse as you played through them, I'm gonna vote for "dirty stylus" (aka "dirty needle"). Grab a flashlight and maybe a magnifying glass and take a look - any little fuzzball you see on that tiny thing that touches the record MUST be cleaned off...carefully, and often (once every side isn't too often in filthy environments). Setting up a vinyl playback rig is certainly a challenge but keeping everything - including your vinyl AND your stylus - sparkly clean is a full-time job. You're gonna get a thousand tips on how to clean a stylus (and how often) but there are two ways I recommend right off the bat: 1) use the tiny brush that should've came with the turntable, gently brush off the fuzz BACK to FRONT; or 2) cut a 1"x2" piece out of a Magic Eraser cleaning pad and gently (dry) brush off the fuzz BACK to FRONT. Alternately, you can just set the Magic Eraser on your bare platter (motor off) and then carefully lower the stylus down onto it. If it leaves a little "booger" on the Magic Eraser when you raise the tonearm back up, you've cleaned your stylus! Any improvement? An equalizer on a home stereo is like a set of training wheels on your first "big boy" bicycle. You think you need it and you probably do. But as you get more experienced, you should realize that those training wheels are for beginners. Hang around here long enough and you'll learn far more than any person needs to optimize your (otherwise excellent) gear and get beautiful sound. Without the training wheels. Equalizers tend to be a phase we all grow out of fairly early in the hobby. Get the right gear and set it up correctly and there is no need for an equalizer. Now, in the car...that's a whole other deal. Remember that sometimes a ceiling isn't really a "ceiling". Take your average "drop ceiling" for instance. If you look up and see a grid of semi-solid white rectangles suspended by a lattice of metal strips, you have a "drop ceiling". Excellent for acoustics but lousy for just about everything else. The "real" ceiling is probably another foot or more above those tiles. At lower frequencies, this is a good thing since there is ample room for longer wavelengths to unfold in your listening space. And at higher frequencies, there is a fair amount of absorption of excessive treble. Regular sheetrock ceilings have some of the same pros/cons. In my experience, just as the "best" sounding floor is not really a "floor" but rather a suspended wooden platform above another space, the best ceiling is often a fake one. Not everything that is overhead is a ceiling. Leaving home for college in the fall of 1983, I just knew deep in my bones that the only way to get my own stereo was to get a job - my first real punch-the-clock job, at minimum wage no less. Which, back then, was a whopping $3.35 an hour. I slaved in the cafeteria in my college dorm for an entire semester until I had enough to buy a basic dorm room system (Technics receiver, Panasonic cassette deck, and big honkin' disco-approved Fisher rack-grade "white woofer" speakers). As I moved through college and my budding audiophilia, several things happened: I ditched cassettes for vinyl, I ditched those Fishers for a sweet pair of ADS L570s, I ditched a series of cheap *** receivers for some genuine audiophile-approved Adcom separates, and <drum roll please> the Compact Disc arrived. I just had to have it. Who paid for all of this? Why YOU did taxpayers! All through the 80s I cashed my student loan and Pell Grant checks every few months not to pay my tuition. Hell no. All that dough - thousands and thousands of dollars of it - bought me ever greater stereos. Until I finally dropped out and enlisted in the military. And then the cycle started all over again (ever heard of an "AAFES stereo"?). Yep, that was me: slave to the sound. 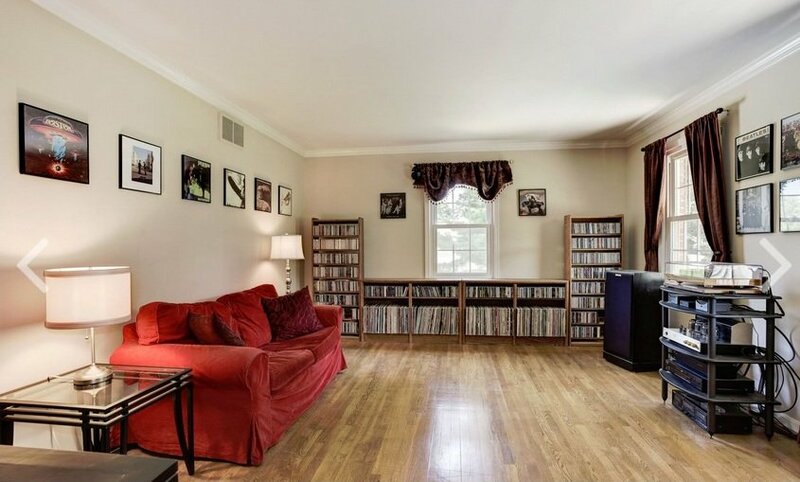 I can honestly say that for a decade from the early 80s to the early 90s (when I bought my first Klipsch) all of my expendable income went towards stereo gear and tapes/records/CDs. I slept on the floor, ate ramen, mooched off the girlfriend, yada yada. But the tunes were always cranking. And usually at a relatively high level of quality. Top that you amateurs. Get the Jolida. 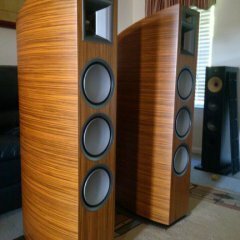 I've owned three different Jolidas (but not the 102) and they've all enjoyed a euphonious synergy with my Forte II's. One word of caution: 20 watts won't seem like enough unless your room is very small or your speakers are very efficient or you listen to strictly 16th century lute music. What do you plan on driving with that JD102B? Also: 15 years is not necessarily "old" for electronics (especially amps). I have unrestored amps, receivers, CD players, and tape decks from the late-80s through 1990s that all work flawlessly (knock on wood). Circa 25-30 years of age is where I start worrying about parts dying and caps drying and that kind of stuff...speakers age noticeably faster imho due to mechanical fatigue, foam dry rot, wear of the furniture finish, and deterioration of glues/adhesives, etc. Some thoughts from 35+ years of pursuing the hobby: 1) All else being equal, a cheap belt drive will beat a cheap direct drive turntable. An expensive direct drive will easily keep up with, and probably surpass, an expensive belt drive turntable. 2) The highest level of objective performance (in numbers as measured by scientific devices) is attainable only with a direct drive turntable. 3) Most, if not all, of the drawbacks to belt drive designs have been eliminated or drastically minimized in the past 30 years or so. 4) Most, if not all, "high end" (audiophile-approved) turntables today are belt drive designs. 5) Belt drive designs are far more tweakable than direct drive designs. This might be one reason why audiophiles prefer them. As is so often the case in audio, the best <insert tweak or accessory here> is no <insert tweak or accessory here>. Therefore, I'll just say it: the best mat is no mat at all. At most, a mat simply acts as a band-aid to undo some damage being done by the turntable, platter, arm, cartridge, atmospheric humidity, static electricity, etc. Once you master your environment, you might find that no mat sounds the best. But only if you can adjust the VTA/SRA on your arm/headshell. As stated earlier, mats often raise the vinyl to an appropriate height for playback. This is one universally acknowledged benefit of mats. However, as also stated earlier in this thread, a positive clamping system (vacuum, threaded clamping, or mass-loaded weighted) will do more good for your phono playback system than any mat - even the very best audiophile jobs. I would recommend focusing your attention on clamping your records securely to the platter somehow rather than introducing a layer of (potentially sound-muddying) material between the record and the platter. That said, I realize that some platters might have non-smooth surfaces that could damage records. So use a mat. In my experience, cork tends to sound the most neutral although felt and leather are also not without their charms. The new fad in turntable design is vinyl-impregnated platters that require no mat. My Pro-Ject 2Xperience Classic is one such design. The engineers over there in Czecho-Austria decided to melt a bunch of old ABBA albums and bond them to the top of the MDF platters on many of their mid- and upper-tier tables (which mostly all use a threaded spindle clamp as well). I think it's brilliant. Vinyl likes to be touching vinyl. If you ever have a chance to check out a (matless) turntable with a vinyl-coated platter, do it. It's really an ingenious way to put an end to all this debate about mats.